Loving greetings to one and all. The Avatar Meher Baba Bhopal Centre is located in the city of Bhopal, India and is run by a group of devotees and lovers of Avatar Meher Baba. 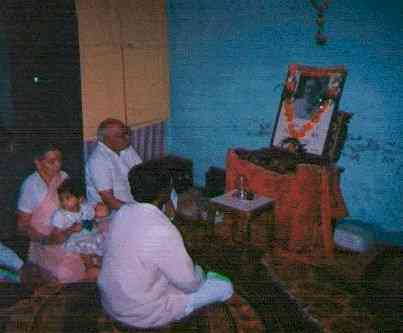 The Avatar Meher Baba Bhopal Centre came into existence on September 13, 1959. The starting of the centre has a brief history. Back in the early 1950's, Bhopal was a small town in central India. Bhopal shot into prominence in 1956 when it was declared the capital of the newly formed state of Madhya Pradesh. Around that time, some lovers and devotees of Meher Baba came from the adjoining towns of Jabalpur and Nagpur and settled in Bhopal. On the 10th of July 1958, Meher Baba, who was alive then, called a meeting at Meherabad and gave, what he called his Universal Message and asked his lovers to spread this message of love and truth to all. A Baba devotee from Bhopal, who attended that meeting, decided to start a centre at Bhopal with the help of other devotees and wrote to Meher Baba seeking his blessings. Meher Baba, replying in his letter of 29th August 1959, gave his encouragement and blessings after which, the Bhopal centre came into being. Currently, the centre holds regular meetings every Wednesday and Saturday from 7 to 8.30 PM and on Sunday's from 8 to 9 AM. In addition to these meetings, the centre organizes special programmes which include celebration of Meher Baba's Birthday on the 25th of February, the Silence Day on the 10th of July and continuous repetition of Meher Baba's Name for 19 Hours without break on four fixed days in a year. The Centre maintains a library of Books on Meher Baba. Mr. Harry Ducdolcha, a Baba lover in the US, has also presented some books to the Library. The Bhopal Centre has also published four books on Meher Baba.